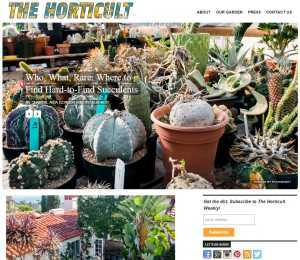 TheHorticult – Straight off the bat, I can see this gardening niche is going to be visually pleasing. The Horticult gardening blog has already won some great awards and I’m not even sure they are in the right field. Clearly photography is a passion along side the appreciation for great garden design. The images are spectacular. The Horicult, with it’s catchy name and instant appeal is run by Chantal and Ryan, New Yorkers who moved east to a quieter coastal town. Chantal originally a writer, and Ryan is a photographer, although he’s spending way too much time on his day job as an engineer. It appears they have developed a passion for gardening and specifically succulents which you’ll see throughout their blog. The stories on this gardening blog are rich with content and exquisite photography and it’s clearly only a matter of time before this website gets the exposure it deserves. Unfortunately, I don’t have insight to the numbers of readers this blog commands but, knowing they have been consistently posting for the last few years indicates they should be reaching a sweet spot. Their reach on social media and specifically Instagram is also important to build a strong following. How they Make Money: – I can only find a few editorial type posts, so it’s clear they haven’t fully monetised this site yet. But given the quality of photography and eye for detail, I’d recommend creating a few ebooks, around garden design for Cacti, and cacti varieties as a start. I’d also consider selling some of that photography either through a site like SnapWire or by offering low cost royalty free images directly from their site. Digging – I love a winner and Pam Penick had just hit the jackpot with a readers choice award in Better Homes and Gardens, when I found her gardening blog. Pam Penick is an avid gardener and now a author, with a few books under her belt. Living in the challenging climate of Austin Texas she launched this site in 2006 and like all established blogs, appears to have some decent traffic numbers. Her side business is in garden design, so no surprises there and she has a love of photography. I’m beginning to see a theme developing here, between keen gardeners and a passion for photography, but why not when the garden pallet is so rich and vibrant. This gardening blog is rich with information and is loaded with some great photography, which Pam should be congratulated on. I’d liked to see more of a gallery style collection of photos every now and again to break the long scrolling on the posts but, Pam isn’t trying to create a magazine here, it’s an earthy gardening blog after all. How they Make Money: – Pam is an author and offers opportunities to buy her books and occasionally has links to her design business, but states she doesn’t run this gardening blog as a commercial venture. 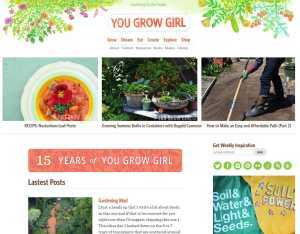 YouGrowGirl – Is “… a place for gardeners, plant lovers, explorers, cooks and eaters, readers and writers, walkers, lookers…” and the list goes on. Certainly there is no targeted niche here but just a place for passionate people. Gayle Trail launched this gardening blog at the start of the millennium and continues to tend the earth around her. This blog is a curation of all things gardening. Tips, tricks and a general love of gardening. As I learn more about Gayle I wonder why she even has a roof over her head, because I’m guessing she’d rather spend much more time in the garden than curled up with a warm hot chocolate in front of the TV. Gayle’s message has been consistent throughout her blogging years, which to me is ‘Love your garden’. As you see more and more photo’s you realise she enjoys the simple pleasures of capturing her ‘garden art’ in the camera and sharing this on the blog. 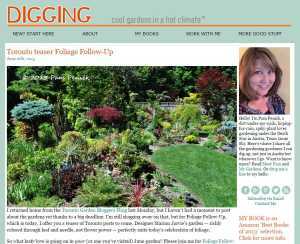 Overall, this gardening blog is one I’ll be returning to, to keep an eye on what is happening with Gayle’s garden. I briefly listened to some of her podcasts and it’s a pity this series isn’t still running. How they Make Money: – There are a number of google ads, on the site which aren’t too in your face, although Google has a way of making the ads more about you than the site your on. Gayle also offers a few books she has written and sells a few gardening related embroidery patterns. GardenRant – I Instantly loved this site when I saw the link on the menu titled ‘Shut Up and Dig’ , without exploring any further I realised this site had attitude, and the worms were dancing underground in this garden blogging party. 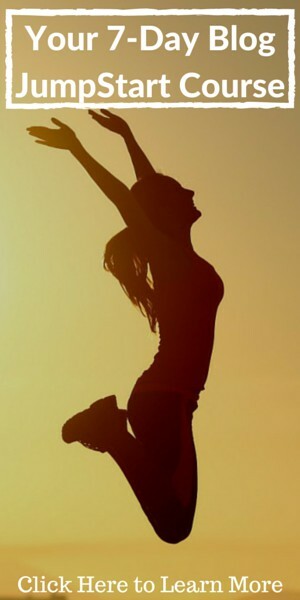 OK, it’s a bit of a stretch but the blog does have some great posts and plenty of attitude. 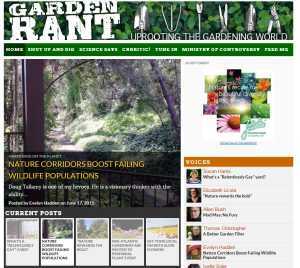 GardenRant does use quite a few guest posters but the site lists the founders to be Susan Harris, Elizabeth Licata, Michele Owens and Amy Stewart. After reading the a few posts, it’s obvious these ladies are having a good time blogging. With plenty of comments it seems like this is a pretty tight knit community. There is plenty to see and do on this gardening blog, so I’m sure I’ll be back for a closer look. And I expect it to get lively with an up coming election on the horizon. Nothing is off limits, so it seems. How they Make Money: – The writers are authors and you’ll find a few book links to Amazon scattered around the site. 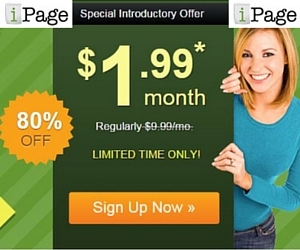 Plus they have display advertising and use Blogads rather than google. 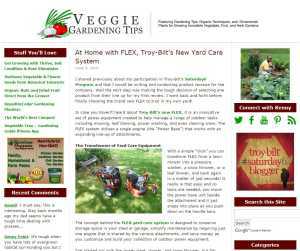 VeggieGardeningTips – This gardening blog is fairly basic in design, but is rich with information. The blog owner is Kenny Point and although a mild mannered CPA by day, he is clearly a keen gardener on the weekends. He calls it his gift, that was developed through trial and error, initially on an organic farm and then transferred that knowledge to his own patch of paradise. The blog is packed with gardening tips and techniques for organic veggie gardens, although at first I mistakenly clicked on some links that I thought were taking me to his best content, and it turned out to be links to other sites. Just a warning for others wishing to try this tactic, it’s only going to result in someone leaving your site and probably never returning again. Is that type of advertising really worth it for a few penny’s per click? 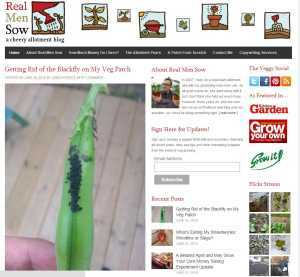 There definitely are some good advertising lessons to be had on this gardening blog, and hopefully he has the traffic to support it, but it’s a little boring in comparison to the other blogs I have already reviewed. I’m unlikely to visit this site again. How they Make Money: – As previously mentioned there are some links disguised as blog posts which complement the editorial posts, google ads and affiliate banner ads in the sidebar. You never just know the reasons behind the advertising path that some blogs take, but this one is clearly in the market to make a few dollars. 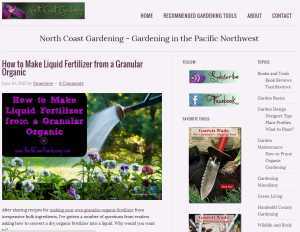 GardeningBlog – Well although Garening Blog is the domain name, it’s since had a branding change to Backyard Gardening Blog. Which is a little more appealing than the original name. 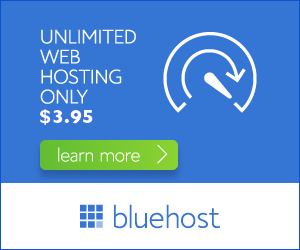 This branding change is handled by a redirect on the original name to the new domain name. For your reference this can be usually done at your domain name registrar. There’s plenty of content from plenty years of posting and also a forum which appears to be reasonably lively, but once there I couldn’t find a link to get back to the main site. 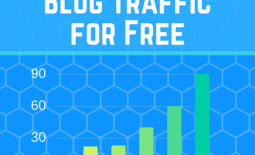 This popular blog is owned by Chris and has been running for 10 years, which explains the healthy traffic flow. There is plenty of natural language on the site, which given the impression it’s been built for people and not search engines. However, as with most ageing blogs the money is in the traffic, and as long as you consistently post over a number of years, you will be rewarded with search engine traffic. Then the only decision you need to make is what to do with it. How they Make Money: – As with most blogs having healthy traffic, the advertising is usually done with google ads and this gardening blog takes advantage of the 4 advertising cells that google permits. GardenTherapy – This gardening blog blends the love of crafts with the love of gardens. It definitely has a DIY feel to it and there are many more projects to tackle than you’d complete in a year. 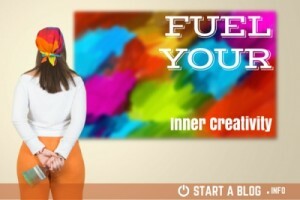 The blog owner is Stephanie and other than that we don’t know about the personality behind this blog. However, it’s obvious she has a keen eye for detail and loves DIY. When you have a look around the site, you start to appreciate the time and effort that has gone into each post. The projects are detailed step-by-step and are accompanied with exquisite photography. The blog posts are a feast of light and colour, featuring DIY projects, recipes and general craft goodness. Additional content on the site is provided by guest posters. How they Make Money: – There is a healthy quantity of display ads on this gardening blog, and extra content suggestions are provided by PubExchange.com. Additionally, Stephanie has a few books for sale and looks to be growing her mailing list. There could be a few more opportunities for a sale, in that list. 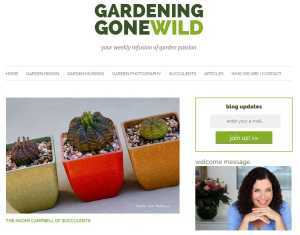 GardeningGoneWild – This blog has a real magazine quality about it, and is likely presented in this way to engage the readers and to grow the prominent email list sign-up. It has classic top right corner, bloggers profile, plenty of white space and enticing calls to actions and I haven’t even started looking at the blog posts yet. Gardening Gone Wild is a collective of bloggers who share similar passions on gardening. Originally started by Fran Sorin, and Nan Ondra, the blog has developed into a core group of three, with Fran now being joined by Saxon Holt and Debra Lee Baldwin. During it’s 8 year run, there have also been a number of other contributors to this gardening blog. The blog posts headlines are provocative, which indicates there is some thought going into clickable links. Such phrases as ‘7 thing’ , ‘why you’ and ‘how to’ are very common now and are more likely to entice the readers to explore more. These types of headlines are also great if you are sharing on your social network. I also do like the ‘Do you Feel Lucky’ plugin which takes the reader on a rummage throughout the blog. How they Make Money: – There isn’t a lot of direct advertising going on with this site, but given the professional appearance and call to actions going into building an email list. I can only assume the dollars are coming from the list. Of course there is also a chance they haven’t monetised this 8 year blog, but I find this unlikely. RealMenSow – I had to balance up this gardening ledger, with a little male input to see what they can bring to the table. Interestingly though despite the initial claims, this gardening blog was actually started by a Mother, Jan, and her son, Jono. Or should I say a son convinced his Mum to go along for the ride and she has since let her son ride alone. There are some great series on this blog that are worth investigating, including one, aptly titled ‘ How Much Money Do I Save?’ , being about the monetary benefits of growing your own food. Yes, there are actual weights of produce and cost savings for a number of years, and as you’d expect it all adds up over time. Another great series is ‘The Allotment Years’ which is where this whole gardening caper appeared to start. Yes, Plot 105 at Burnham-on-Crouch is basis for this series and since then Jono, has moved onto his own patch of dirt. Overall this blog has great content, and candid discussions about ‘Real’ gardening problems in real time as they are happening to Jono. I’d definitely put this one in the gardening diary category, if it needed a genre. Pro Tip: Again this site is using the default page titling, which as previously mentioned could be impacting the search rankings. A simple change of the permalink to ‘Post Name’ is warranted. Just these small things offer greater rewards in your search engine rank. How they Make Money: – At the time of writing this article, there were no monetisation strategies in place. However, Jono, does offer his services for web copywriting, which could be his new calling. I’d say he could definitely, knock out a few simple ‘Everything you need to know about looking after your allotment’ type eBooks, and sell these as this is definitely a niche site. At the very least these eBooks could be offered for free, to help build his email list. NorthCoastGardening – Genevieve Schmidt is the face of the North Coast Gardening Blog, and appears to be quite a character. But this should be no surprise and she has developed her writing voice over a number of years, working for a number of gardening journals and also developed her critiques skills as a professional Amazon Reviewer. There are some great tips and tricks on this blog, and Genevieve has incorporated her amazon links nicely, nestled amongst the deep content. Clearly the affiliate links aren’t an after thought, and are likely as much a part of the idea, as the post ideas themselves. But that’s the way affiliate marketing should be done. You get all the content you are looking for and when your found asking the question, ‘so where do I get that?’ , miraculously the link and 2-day prime shipping from Amazon is at your finger tips. Brilliant. I was expecting to see a little more of Genevieve’s personality in the blog posts, but was a little disappointed to get a fairly generic vibe through her writing. I think it’s a great opportunity missed, not to inject a little of yourself and certainly your humour into your writing to keep the punters wanting more. I’d also like to see Genevieve building an email list, which could also be used to advertise a few more Amazon products. 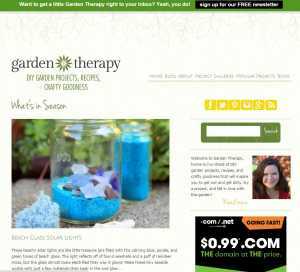 How they Make Money: – This popular gardening blog is a classical model for an affiliates website and uses display ads to supplement the sites earnings. Overall, it’s been great reviewing these gardening blogs, and as always I get a lot of interesting information, which will come in handy one day, I’m sure. However, I can appreciate that plant lovers don’t create gardening blogs to simply make money, but for those that have full time jobs that keep them away from their passion, it’s a shame, when these opportunities aren’t explored. As gardening and photography are great complementary passions I’d consider developing an Instagram following for your social media strategy, which should help to get a few more eyeballs on your gardening blog, especially if your are already creating great photos. Please ‘Like’, if this post was valuable or check out of my other popular blog sites reviews. 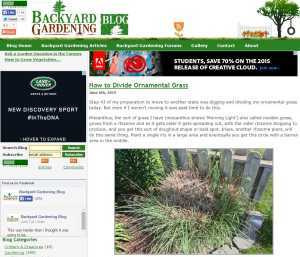 Share the post "10 Popular Gardening Blogs Worth Reading and How they Make Money"